OSLO – August 11, 2016 – Continuing on its path to provide the most personal, feature-packed browser, Vivaldi today released version 1.3. Version 1.3 introduces Custom Themes to add a new dimension to personalization, protection for WebRTC IP leakage to improve privacy, and more mouse gestures to name just a few. 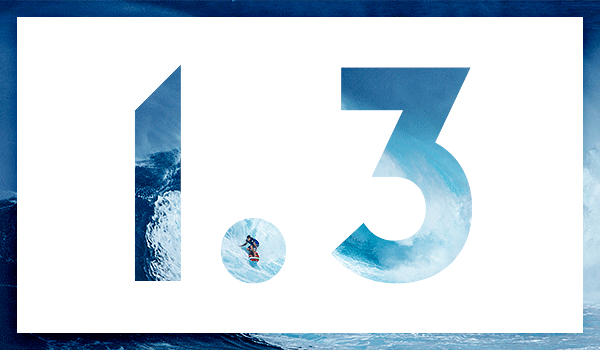 Download Vivaldi 1.3 today from vivaldi.com. According to Wired, “Vivaldi is to power users what 500-pound squats are to power lifters.” We’re too busy coding to spend much time in a squat rack, but we know that many users switch from Chrome to Vivaldi because of our personalization options. You can truly make Vivaldi yours. Custom Themes also bring an accessibility improvement, because we added programmatic support to enforce minimal contrast. This makes Vivaldi more comfortable to use for people with visual impairments, or who work in dimly lit environments. Improving privacy is also a paramount concern for Vivaldi. WebRTC brings voice, video chat and file sharing applications to the web browser natively in HTML, but it can also broadcast your IP address, which websites can use to track you. In Vivaldi 1.3 we added a setting to turn this off. Hurray for more privacy. Mouse gestures get a major improvement in version 1.3. We’ve added more default mouse gestures and you can even customize more than 90 different browser actions. For Linux users, we made some platform-specific improvements with this release. First, we made tab hibernation better for you. Tab hibernation puts tabs to sleep, so they don’t hog system resources. To hibernate a tab, simply right click on it. We also improved our support for proprietary media in HTML5.